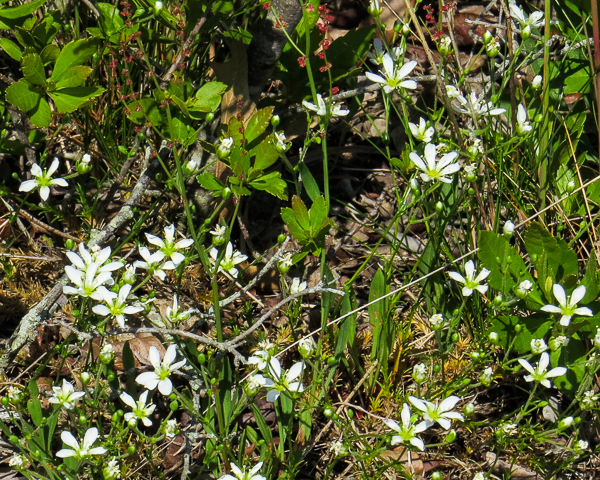 Sandwort, Pine Barrens (Sabulina caroliniana; Minuartia caroliniana). Carophyllaceae family. Sandy pine barrens. Restricted range. Napeague Dunes, Long Island, 2017.